Are you looking for a good Social Warfare alternative? Then you are at the right place as I was searching for a better & secure social plugin for WordPress after the recent Zero-Day Vulnerability in Social Warfare Plugin. Not only that, this plugin is still creating problems conflicting with other plugins too. I have noticed a discussion where Social Warfare broke Thrive Architect plugin and the entire website. This is not at all a good review for a social share plugin. Here is the screenshot of this discussion. Recently I have asked the same question to my Facebook group members. You can see the result of that poll where most people voted for AddThis plugin. This one is no doubt the best free social share plugin is AddThis. But they also add many unnecessary codes to your website, which will cause your website speed performance. If you want to know the true or potential competitor of Social Warfare plugin, then they are Social Snap & Social Pug. Disclaimer: I am still using social warfare plugin as I am using their click to tweet feature in many articles. In case I have to switch to another Social Warfare alternative, I have to change all the articles. But that doesn’t mean that I will continue with this plugin only. I am still looking forward to find a safe & better alternative to this social media sharing plugin from Social Warfare. What is the best social media plugin for WordPress? There is no doubt till date that Social Warfare has everything a blogger needs to get maximum social media attention. At the same time without compromising website speed. But, the most popular WordPress plugin Social Warfare was compromised. This plugin was hacked and through that many big websites got badly attacked. Not only that, this plugin is removed from the WordPress.org plugin repository. You can read the complete details here. The similar thing happened with one of the most popular WordPress SEO Plugin, Yoast SEO Plugin. At the same time, people started looking for Yoast SEO alternatives. Although they have come up with a quick fix to this attack. But still, people are looking for an alternative social warfare plugin. I am going to share some of the best Social Share Plugin for WordPress in this article. What is the best WordPress plugin to add Social Sharing Buttons & icons? When a plugin like Social Warfare with 70,000 downloads can be attacked, you have to think wisely to secure your WordPress site. The best part is that you will always find a good alternative plugin. Also Read What plugins do I need for WordPress? I was enjoying the awesome features of Social Warfare plugin, without any doubt. But after this massive security attack, they started losing trust. Although they are quick enough to come back with a patch to fix this attack. But many big websites have been compromised which is not at all accepted. What plugin I can use to replace the Social Warfare Plugin? I am also going through the same feeling and that’s the only reason I was looking for the Social Warfare plugin alternative. Although they are recommended till date by many bloggers. Besides Social Warfare, I found a few good social share plugins for a WordPress website. Let’s find out such amazing plugins in this article. There are free social share plugins which are actually not good for website speed. These paid plugins also offer free installation with limited features which is enough for a blogger. But if you want to explore more features, then definitely it’s worth investing. 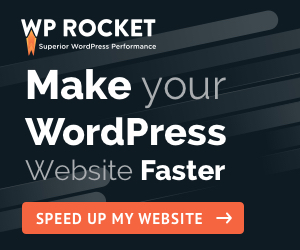 I don’t like to have a slow WordPress site. And that’s why I always invest in quality tools to speed up my website. My website is hosted on SiteGround GrowBig hosting, powered by WP Rocket cache. And that’s the reason I got 100/100 score in GTMetrix & Google Pagespeed Insights. Social Warfare is actually very light and doesn’t impact website page loading. That’s the reason they have won the heart of many bloggers so far. But that doesn’t mean that you don’t have any better alternative to Social Warfare plugin. Let’s explore them one by one. Social Snap is the top social sharing WordPress plugin that helps a user to add share buttons, follow buttons, click to tweet boxes, and various other options to any WordPress blog. This WordPress plugin is best suited for a design-oriented person. This social plugin not only can store but also can show a user the share statistics report so that he/she can see how many shares they will get on each social network over a period of time. They provide multiple formats of Sharing buttons. Social Snap provides an automatic social poster. Through this plugin, a user will get different styles of buttons. This social share plugin comes with an inbuilt click to tweet boxes which a user can use to create clickable text boxes. This plugin comes with an Open Meta Graph facility that generally helps a user to modify a blog post and eventually makes the post look much better. This social share plugin comes with Shortcode support and Gutenberg block support. This plugin provides options for hiding share buttons on particular posts. Social Snap comes with three pricing plans which are the Agency, Pro, and the Plus plan. The Agency plan costs $299/month while on the other hand a user can avail the Pro plan by spending $99/month and the Plus plan costs $39/month. You can save 20% on this plugin by using a special Social Snap Coupon Code BLOGGINGJOY. Just apply this coupon on the payment page and get an instant 20% discount. This is a very impressive social share plugin which a user can use to add highly customizable social share buttons that generally integrates beautifully with every website’s design, and eventually leads to increased interactions and social media shares. Social share buttons of Social Pug are extremely flexible and customizable as a result a user can easily set up the share button on their website. The free version of this social share plugin supports top five social media platforms which include Facebook, Twitter, Google+, Pinterest, and LinkedIn. This plugin allows a user to place the social share button in four different locations of a particular website. Another exciting feature of this plugin includes the fact that Social Pug uses an icon font to display the best looking social media icons on any screen. Social Pug allows every user to display social share counts for all social media networks, including Twitter. This plugin offers import and export settings, which allows a user to move all the settings from one website to another with just a few clicks only. It also offers social media shared post widgets that help a user to highlight his/her top shared posts. Link shortening tool Bitly is integrated within this social share plugin through which a user can hide long URL’s behind their shorter versions. This plugin comes with Google Analytics UTM tracking that allows a user to easily track the source of the incoming traffic on their website. Monarch is a high-quality social share plugin which offers a set of social media share buttons along with social media follow button. This social share plugin is developed by Elegant Themes to help WordPress users to incorporate social share and follow buttons on their WordPress sites. This is a very impressive social share plugin as it offers a variety of button locations and an extensive variety of button styles, colors, and sizes. Monarch is a standalone plugin so a user does not need to install additional software to run this social share plugin. How much does Elegant Themes Divi cost? This social share plugin is highly customizable. Monarch has built-in triggers which help in social sharing. This plugin comes with various unique locations for displaying social share and follow buttons. This social share plugin supports all the popular social media networks including Facebook, Twitter, Pinterest, Google+, LinkedIn, and Tumblr, etc. It offers custom widgets which helps a user to show the social buttons in any location on their site. This plugin comes with built-in Shortcode Generator which helps the users in a number of ways. This plugin has a fully responsive layout. Monarch comes with a very handy import and export settings which helps a user to easily replicate the plugin options from other websites to his/her own website. This is a lighting fast plugin and so it does not hampers the loading time of a particular website. Make sure to check this Elegant Themes Coupon guide to save 20% on your purchase. Easy Social Share Buttons or ESSB is a popular social share plugin which is mainly designed for WordPress. It offers exhaustive sharing options for all users in order to make their website more popular in social media. This extensive social share plugin offers maximum flexibility and social media exposure by allowing a user to share his site’s content on more than 50 of the most popular social media networks, including a wide range of mobile messengers as well. It offers more than 40 social sharing network icons. ESSB offers more than 50 predefined templates along with 25 design positions. It comes with inbuilt analytics to track each click on the icons. It offers free extensions for opt-in form, for inserting a number of post views, A/B test, Facebook comments, viral posts, and AMP. It is compatible with WMPL and hence supports multiple languages. Another exciting feature of ESSB is that it supports shortcode to insert social icons anywhere on a particular website. This social share plugin comes with more than 30 attractive button animation option. This plugin is lighting fast and hence helps a user to get the best performance without affecting the loading time of a particular website. ESSB has two types of license plans which are popularly known as the Regular license and the Extended license. The Regular license plan can be accessed by spending only $20 but on the other hand, the extended license costs $100. AddThis Social Share plugin helps a user to add Social Share button to each and every post and webpage so that readers can easily share the contents on the social networks. With the help of this plugin, a user can also add the Social Share widget on their blog sidebar. This plugin is very easy to configure which is an additional advantage of this social share plugin. This social share plugin offers several customization options. This plugin can be installed easily as it has a straightforward installation process. This plugin is compatible with AMP. This social share plugin supports many social media platforms like Facebook, Twitter, Google+, Pinterest, and LinkedIn, etc. A user can access this plugin without investing any money as it is absolutely free. WP Social share plugin helps a user to add attractive, responsive social share buttons of Facebook, Twitter, Linkedin, Xing, Reddit and Pinterest to the WordPress posts, pages, media or any other custom post type. This is an extremely lightweight and simple social share plugin. Moreover, this social share plugin also provides options to the user regarding whether they want to include plugin CSS/JS or not. This plugin supports popular social media networks including Facebook, Linkedin, Reddit, Twitter, Xing, and Pinterest. This social share plugin is 100% responsive. It provides Shortcodes which can be easily integrated with any themes. Through this plugin, a user can easily add social icons before and after any content. It allows a user to add text before any share button. This social share plugin is absolutely free. This is an extremely lightweight social share plugin that helps every user to share the content over Facebook, Twitter, Google, LinkedIn, Whatsapp, Tumblr, Pinterest, Reddit and also over 100 more social sharing and bookmarking services. This plugin is compatible with Gutenberg editor and AMP. Sassy Social Share comes with free icon customization options. This social share plugin comes with unique options which helps a user to change the sharing icon shape and size according to their choices. URL shortening tools are integrated into this plugin. It provides a standard and floating layout for Social Share icons. This plugin is 100% mobile responsive. It helps a user to enable social sharing at WooCommerce products. This social share plugin comes with various widgets and Shortcodes. Sassy Social Share supports HTTPS-enabled websites as well. This Social Share Plugin is available free of cost. I am sure this article will not only help you to find the best Social Warfare alternatives but also help you to understand which plugin is good to install in your blog. You must have a social sharing plugin to have good looking buttons, sharing icons with sharing counts, etc. So, are you still using Social Warfare plugin? Or searching for a better alternative to Social Warfare plugin? What is your view on this topic? Do write a comment below and share your experience or feedback if any. Great List. Social Warfare is indeed a great social share plugin. However, Few weeks back many users including me have issues with redirection and receiving security violations in search console. So, to find the exact social sharing option, I am using Social Snap right now. Its a great plugin and integration was very easy. Thanks for sharing these great alternatives. Thanks buddy for your valuable comment. I am also planning to try SocialSnap PRO as I liked their features really awesome. Soon I will share a detailed review of SocialSnap plugin. Although I am using AddThis on my website, yet your blog provoked me to explore them all. Right now i’ll be exploring only free plugins, but would also like to invest some money on it. What as per you is the right time to invest money on these plugins?